Our Divemaster Program is very flexible, allowing you to start your training when convenient and extend your training to maximise your learning experience, or fit the program into your busy schedule. 2) If you have the luxury of time, you can extend this internship by a further 2 weeks to make a 6-week Divemaster Program at no extra charge. Your Divemaster duties can include pool demo's, sales, planning and conducting dive excursions, and of course plenty of diving! 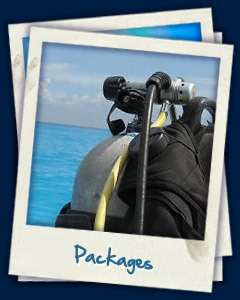 You will meet our guests – novice and seasoned divers, help our staff guide certified divers, and assist our Instructors with training courses. 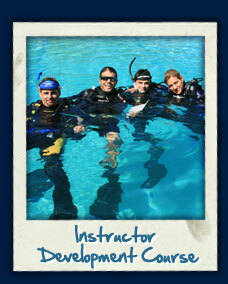 You can choose to enhance your training with the Disabled Divers' International (DDI) Pro Trainer Course. This 2-day course is available once you have completed your Divemaster course to anyone who is interested in learning more about working with disabled scuba divers. It is a course which teaches you a lot about the need for empathy and understanding, rather than sympathy and embarrassment. 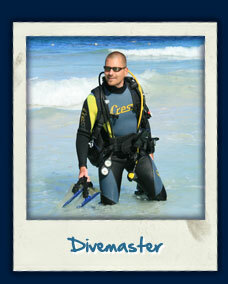 What you take away from this course will be useful to you in your every-day role as a Divemaster. Start your professional career now with Pro Dive Mexico and let our PADI Platinum Course director be in charge...We build diving careers!